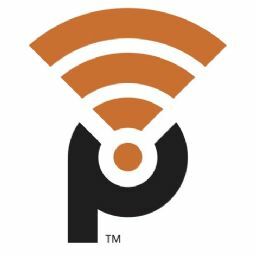 West Point, GA - Point Broadband, a Wireless Internet Provider based in West Point, Ga, announced today that they have launched high-speed Internet service to the Lake Martin area. “We are excited to announce that we have completed our network construction on the Walnut Hill Water Tower in addition to the Stillwater Tower which was completed late last year” said Point Broadband’s VP Marketing Taylor Nipper. Point-Broadband provides fast, reliable Internet service with standard speeds of either 10 or 20 Mbps, which can support streaming video, large file downloads, gaming and more. “There are no customer contracts to sign and there are no data caps on service, so customers can stream video, browse the web and play online games without worrying about using all their data” added Nipper. Point Broadband is now scheduling installations throughout the lake area including the Village and Marina Marin neighborhoods. Point Broadband is a wireless Internet service provider dedicated to meeting the needs of the communities we serve. Our mission is to help bridge the digital divide by providing high-speed Internet to rural areas. We’re committed to providing fast, reliable Internet service to help our customers connect with friends and family, stream music and TV services and allow businesses to connect with more customers. Point Broadband is headquartered in West Point, Georgia, a small town on the border of Georgia and Alabama. We are a proud subsidiary of ITC Capital Partners, LLC, which has a century long history of providing innovative communication solutions to its customers, with a focus on serving the communities where its customers live.